Albers Ski Rental Welcomes You. 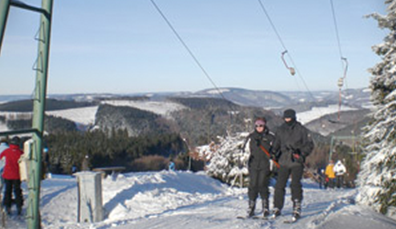 Since the 1960s, Skiing in Bödefeld has become a major tourist attraction in the Sauerland thanks to innumerable guests, especially from the nearby Ruhr, the Rhineland and the neighbouring Netherlands. 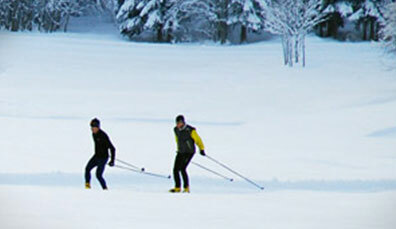 Albers Ski Rental has been renting out first-class winter sports equipment for beautiful days in the snow since 1970. 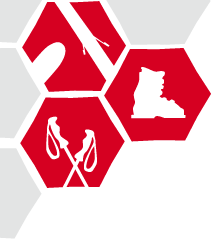 We can offer you a complete range of equipment for: Alpine skiing, Cross-country skiing, Snowboard riding, “Snow shoes” for hiking, Tobogganing and sledge riding. You will find our items at two rental stations: The rental station is located right next to the valley station of Bödefeld Hunau ski area. You can find more Infos to the Bödefelder Skiarea “Hunaulift”, and on the current snow position locally here. 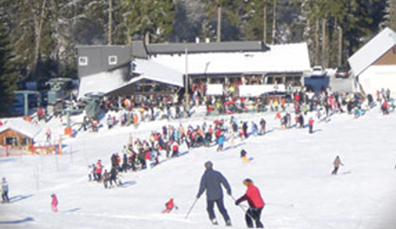 In the Hunau ski area you will find the longest ski lift in the Hochsauerland at Bödefeld. The sweeping downhill slopes are prepared every day by snow cannons and two snowcats. 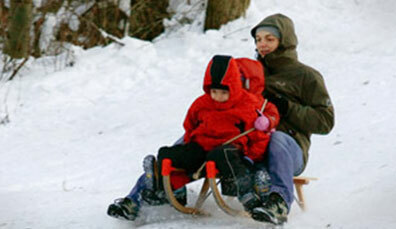 Therefore, greatest pleasure in skiing, snowboarding and tobogganing is guaranteed. Please contact us, we will give our best to help you.